This kit includes both an NP-FZ100 replacement Li-Ion battery and a charger. It is especially convenient for use with cameras that only include an in-camera charging cable. 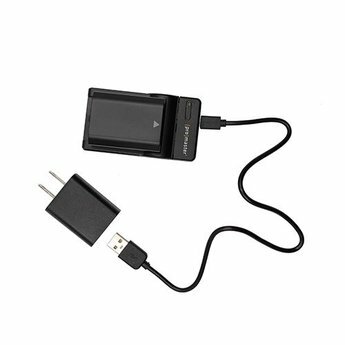 By using the ProMaster external charger in this kit you can charge a spare battery at the same time you are using your camera. The charging unit is made up of 3 components: a charging base, AC adapter, and USB charging cable. By using the base and USB cable you can charge the NP-FZ100 battery from the included AC adapter OR from a common USB port! Use it at home, in your car, or on the go to ensure your Sony camera always has ample power.